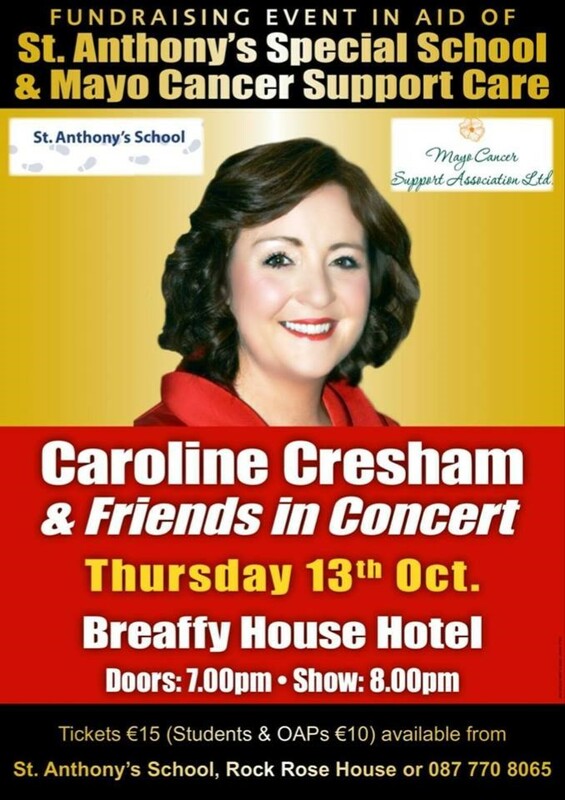 Caroline Cresham and friends are in concert on Thursday 13th October in Breaffy House Hotel. All proceeds go to St Anthonys Special school and Mayo Cancer Support Association. Please support this great cause. Tickets are available at Rock Rose House, Tel: 094 9038407 and St Joseph’s School.